Uh oh. 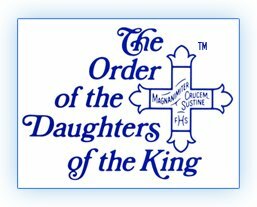 Looks like the latest target is now aimed directly at the historical organization, the Order of the Daughters of the King. Read more here. A handful of “progressive” Episcopal women want to ban Anglicans, Lutherans, and Roman Catholics from the Order and make it an Episcopal Church-only organization. They have targeted the elected president of the Order, Joan Dalrymple, but frankly, I have to wonder if the real target is the national Chaplain, none other than the Rt. Rev. John W. Howe, Bishop of Central Florida. He’s been making peace of late with those parishes and clergy who seek to separate from the Episcopal Church. And now we have Washington-style politics going on, with whispers of financial mismanagement (absurd, you can read their financial statements yourself here – including the audit) as well as an entire shadow website put up online as a “shadow” Order (sound familiar friends?). At the Daughters of the King Triennial, held in 2006, the delegates voted to interpret the bylaws strictly so that each chapter had one vote. The bylaws do not recognize “Episcopal” and the Order is not an official part of the Episcopal Church. It’s like the Alpha Course – it’s associated with Episcopal Churches, but is a separate entity. The Triennial voted by an overwhelming majority of 219 to 30 to seat Roman Catholic, Lutheran, and Anglican Chapters. Since the Triennial, a small group formed calling themselves the “Episcopal” Community of the Daughters of the King and they seek to expel from the Order all the Anglican, Lutheran, and Roman Catholic members. They have recruited bishops from the Episcopal Church to pressure the president of the DOK, continuing the whisper campaign to cast a cloud over her leadership. I know there have been questions in many dioceses about the status of leadership in the Daughters of the King. This issue was raised while I was meeting with the bishops of Province IV. Attached is a letter from the bishops of Province IV, expressing concern. I understand that responses have begun, and wanted you to be aware of this. Questions you may have can appropriately be directed to the Daughters in your own diocese, and on their behalf to the national leadership. Given the energy behind this, you may want to share any responses you receive with others on this list, so that all may be suitably informed. I look forward to seeing you all in March. Shalom, my foot. Notice that the financial issue (which is without merit, as we can see for ourselves by reading the financial statements that have always been transparent) is just a hook. The real issue is frankly, Umbridgian. Katharine Jefferts Schori says there are now “questions in many dioceses about the status of leadership in the Daughters of the King.” Right – it’s a progressive Episcopalian attempt at a coup to oust the current leadership and to install leadership that will expel all the Anglicans, Lutherans, and Roman Catholics from the Order. But what is so strange about this is that none of the correspondence is directed to the Chaplain – their fellow bishop. What’s up with that? Is this retaliation against Bishop Howe for his generous treatment of parishes and clergy in the Diocese of Central Florida who are seeking to separate from the Episcopal Church? In the Diocese of Virginia Bishop Lee has been outstanding. He has been incredibly generous, as he was at the recent Diocesan Council meeting, to bless the efforts of the Daughters of the King in the Diocese of Virginia to have both Anglican and Episcopal Chapters. The leadership is made up of Anglicans and Episcopalians. There is an Anglican chaplain and an Episcopalian chaplain and they work together. And we work together. In fact, this past Diocesan Council was so incredibly good for my own soul to be in a position to pray for the Diocese of Virginia, to be in the chapel there praying, not only for the efforts of the diocese, but for my own heart. But this campaign that now includes the Presiding Bishop herself is disgraceful. There’s no other word for it. It seems to be targeted not only at the leadership that is truly inclusive, but at the chaplain who has been truly generous – John W. Howe. I am so sorry. I remember the excitement you shared about a time in the last presidential election, with all action in your office building and politics in the air when you step into an elevator and a lady of a different ethic, probably different political background and maybe social-economic gasps, clutching her cross and pointing to your, “a daughter!” How you shared a lunch, while the atmosphere around was abuzz with things of this world, you two were in a island of tranquility & joy sharing each others Kingdom business. It’s a shame this area, too, ine I don’t think really matters to either side’s polity is dragged into the muck. I really am at a loss for words. I posted this at StandFirm:The good folk at St. James Anglican (Newport Beach, CA) may have been prescient: after they left TEC for Uganda their DOK reorganized as a separate order, I believe in concert with women from some of the other Anglican churches. I don’t have a direct link to the new order, but here is the < HREF="http://web.mac.com/stjamesyouthonline/stjamesnewportbeach/Womens.html" REL="nofollow">contact info<> to the folks in the know. br_er rabbie,That actually would be Companions Along the Way. The following statement is on both the DOK website and what you call the shadow website: “The Daughters of the King is an order for women who are communicants of the Episcopal Church, churches in communion with it, or churches in the Historic Episcopate” I assume (but do not presume to know) the Presiding Bishop assents to this and I assume, that if indeed a shadow group trying to expel all non-Episcopalians is developing, this group does not meet with the presiding bishop’s approval. Again, I do not know. On the other hand, I assume that you are a DOK (I am not) and therefore know a great deal about this from the inside. I look forward to your filling us in on the facts and details. Donna in Texas: I can’t imagine that the title “Daughters of the King” would be consistent with Bishop Shorri’s Christmas Card depicting three wise women with a black Mary; so, I would suggest that the Episcopal, politically correct, title for this organization be changed to “Transgender Offsping of a Gender Neutral Creator”. I took my vows to the order of Daughters of the King for life, just like my marriage and confirmation vows. If Katie-bar-the-door Jefferts Shori thinks that with a wave of her bishop’s crook she can “disappear” those vows she may come up against the rod and staff that my Abba protects me with as I walk through this valley of shadows. My chapter sisters have laughed, cried and argued with me while making me grow as a Christian. They keep me accountable and help me focus on Christ. And they will read any edicts to throw me out because I left the episcopal church and joined the Anglican church of Uganda, shake their heads sadly at such denominational foolishness and continue to accept me as a Daughter. I will continue to pray for Madame Bishop, wishing her health, financial stability, happiness and much love, not presuming to tell God what is needed to “fix” her, as I do all clergy. If Madame Bishops hope is to access another source of funds for her legal witchhunt against the break-away churches she will be sadly disappointed to find we don’t have a lot of money. We tend to give it away to missions, outreach and scholarships through the Master’s fund and the Self-denial fund. In the interim may God bless and protect all members of the Body of Christ including the Daughters from the snares of the Prince of this World including the demon of denominationalism which is so divisive to the Body. Alas, apparently having exhausted taking aim at the current DOK president, we find an Anon now taking shots at a past DOK president as well. Who’s next? The King Himself? No, I speak in fact. Our bylaws have been broken. Actually, the current leadership was all elected illegally….but I wouldn’t want to confuse you with the facts. Since our bylaws were broken at the business meeting, it would make the election null and void.The Episcopal Daughters have been most generous in trying to work this out without litigation. It is all about the money for the non-Episcopalians. Make no mistake about that. I am speaking the truth. I am so sorry that you are hurting. But, the answer is not to pass along the hurt. The answer is in forgiveness. I took my DOK vows to GOD…anything else would be worshiping false idols.God bless you and keep you.